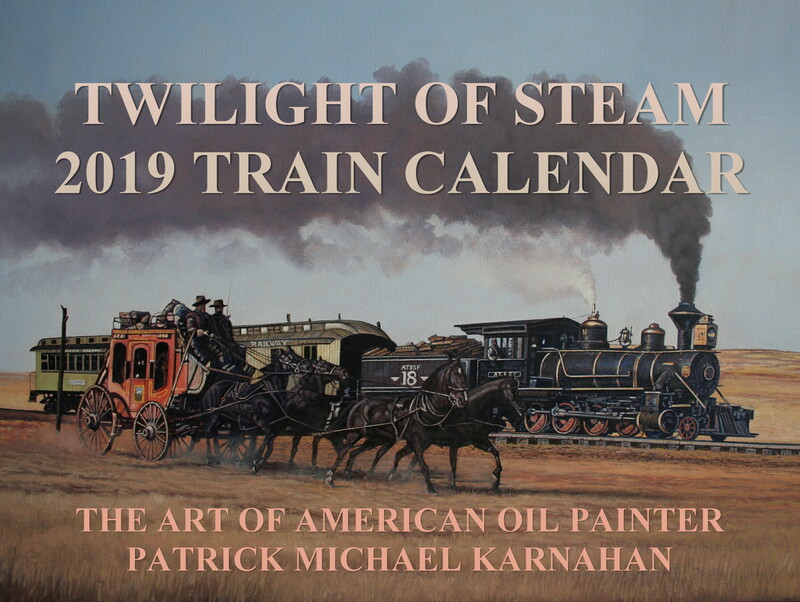 American Railroad Artist/ oil painter, Patrick Michael Karnahan, has just released a 2019 Train Calendar- featuring thirteen of the artist’s oil paintings. The focus of the new calendar is on historic California Steam Railroads. Featured works include: The Yosemite Valley Railroad, Sierra Railroad, Pacific Coast Narrow Gauge, Carson & Colorado Railroad, Western Pacific Railroad, Union Pacific Railroad, Southern Pacific Railroad, and the Westside Lumber Company. The artist has picked out every railroad portrait in the calendar to fit a specific season of the year. 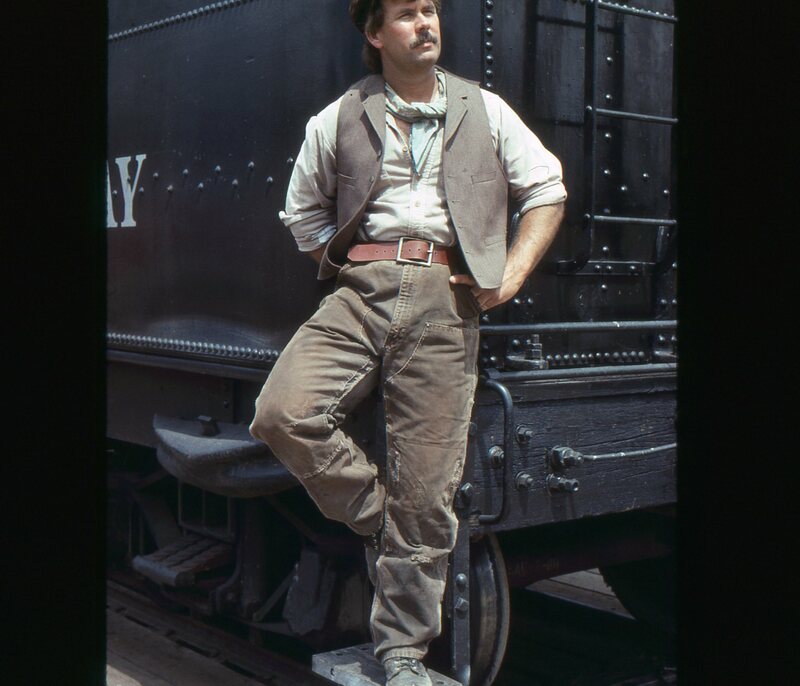 In the past, Patrick’s work has been featured in the famous Orchard Supply Hardware Train Calendar- (OSH), and the many calendars he produced for the Sierra Railroad Company. 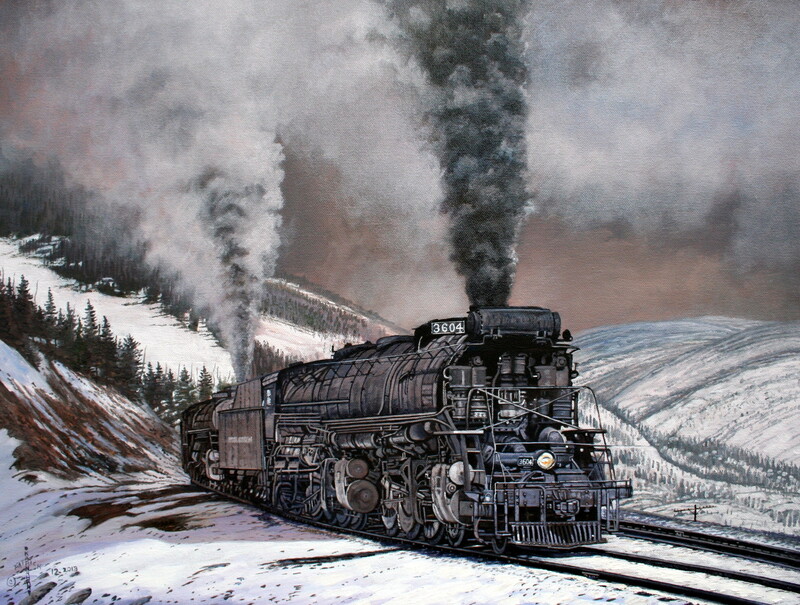 The artist has been capturing California Railroads since the age of sixteen. To-date the artist has created the largest body of artwork related to California trains, having painted over 400 oil paintings of the subject matter. The full color Train Calendar is now available for $20, and each is hand-signed by the artist. 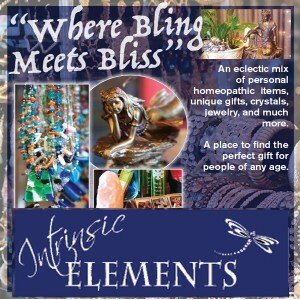 A special reception for the artist will be held on Saturday, December 22nd, at Sonora Joe’s. The artist will have calendars available for purchase along with original artwork and limited edition art prints. Sonora Joe’s is located at 140 South Washington street, Sonora, CA (209) 533-4455 * 8:00 am – 4:00 pm. THE 2019 TRAIN CALENDAR’ by artist Patrick Michael Karnahan, will be available this Fall for purchase. 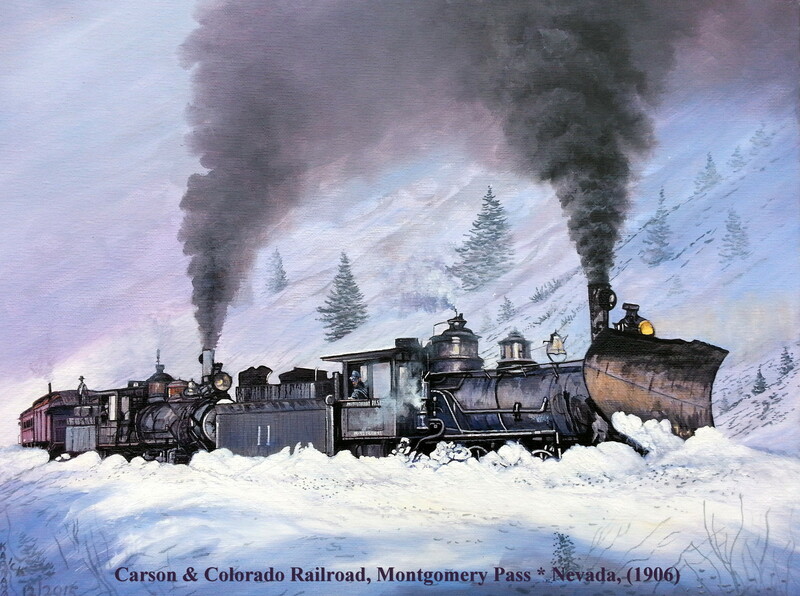 Calendars feature 13 paintings by the artist of West Coast Railroads.